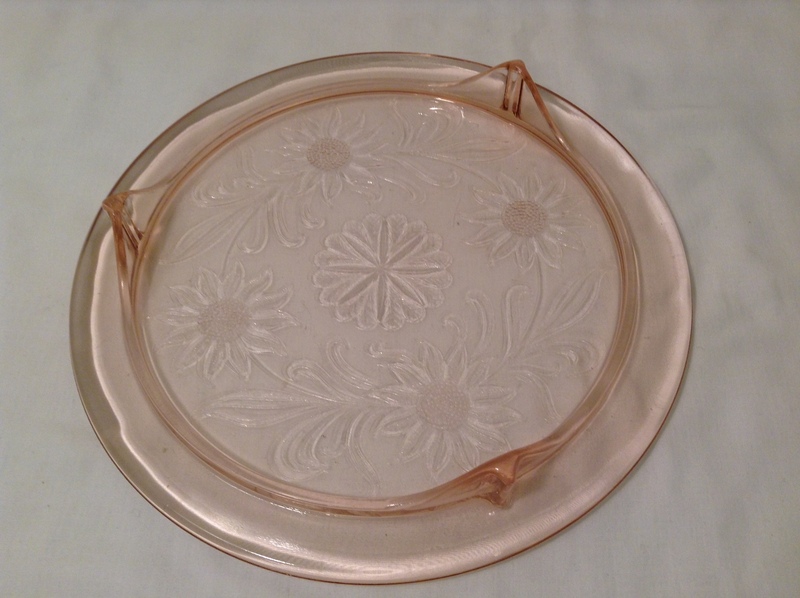 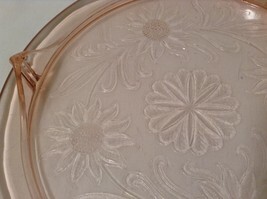 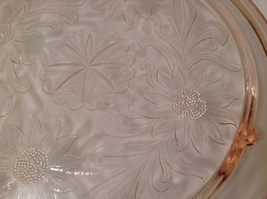 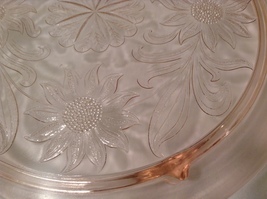 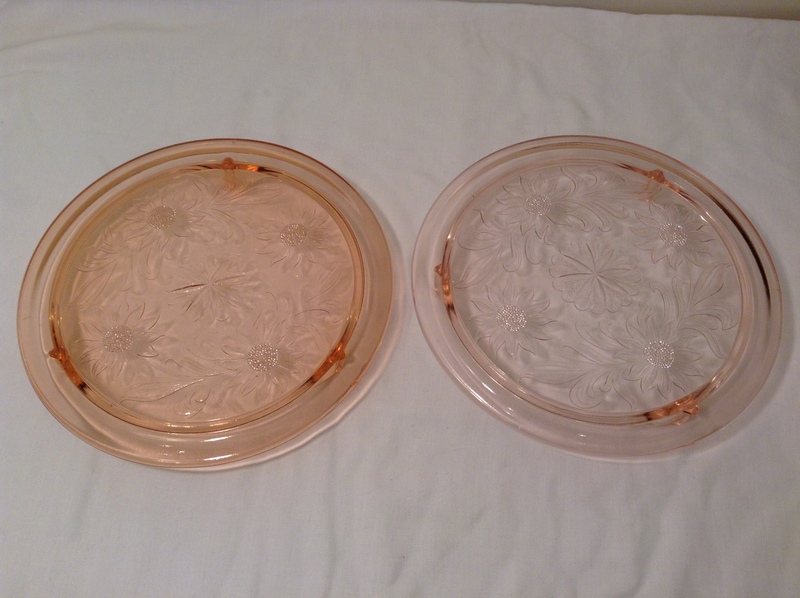 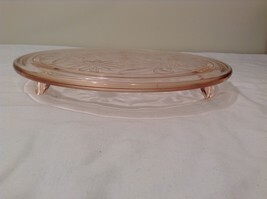 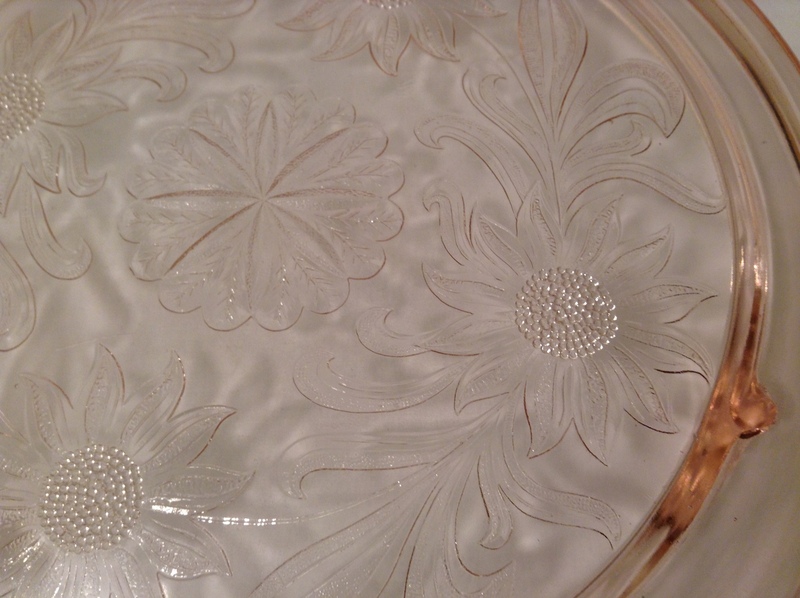 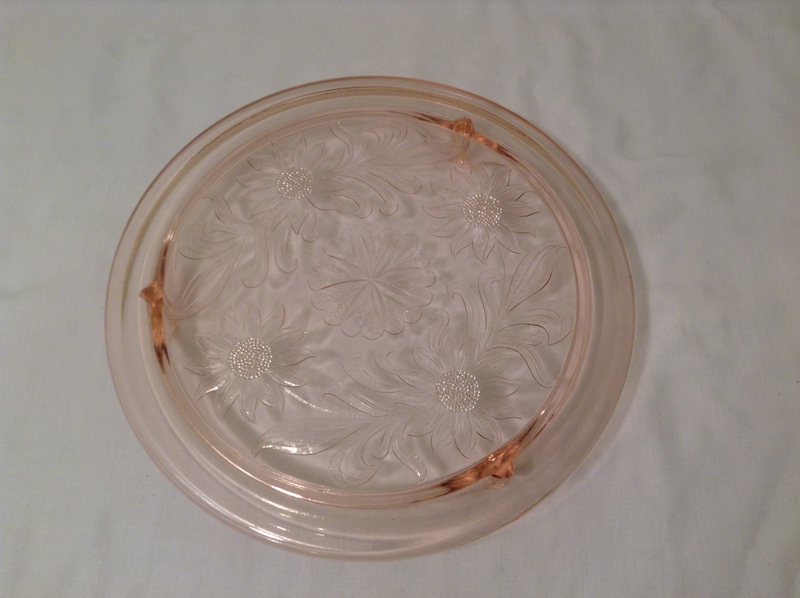 Vintage Pink Depression Glass Cake Plate / Stand Floral Design - Light Pink color. 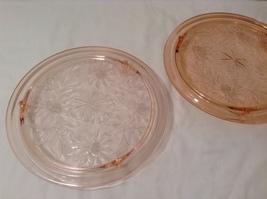 (we have same cake plate in dark pink color - search our store). Three footed. Cake plate in excellent condition. Measurements: Diameter 10", Height 1-3/8".